1. Assess your time frame and choose a craft project to fit it. Allow plenty of clean up time. You don’t want any adventure to feel time crunched. Its all about the joy of the process. 2. Agree on what you’ll be creating with your child. Have them help you gather all your supplies ahead of time and arrange them at an arms length from you. Don’t leave anything out that you don’t want the kids to use at that time for whatever reason (hot glue, glitter, scissors? ), to avoid No’s. 3. While you are setting up your craft area, also run some bath water. 4. Line your table with newspaper and have a wet rag and a dry towel at an arm’s length for spills. Messes happen. It’s no biggie when you’re well prepared. 5. 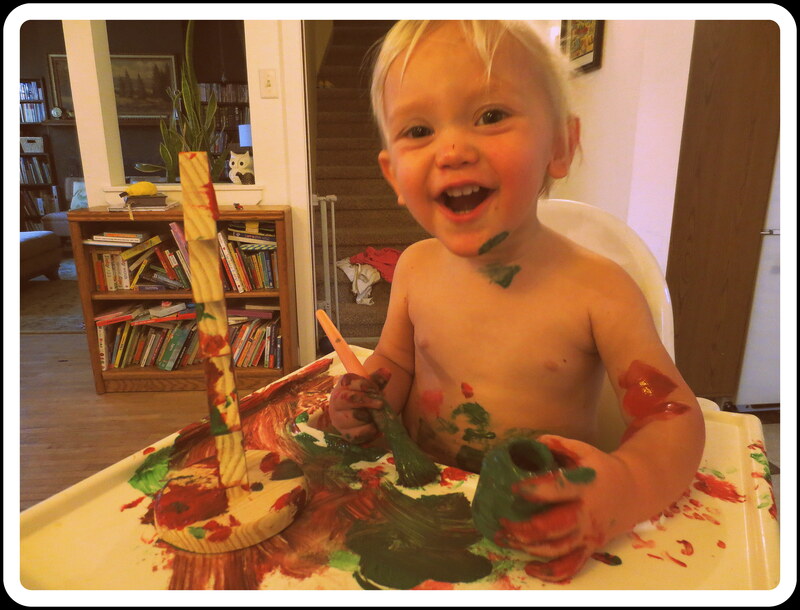 Forget smocks. Strip those kids down. 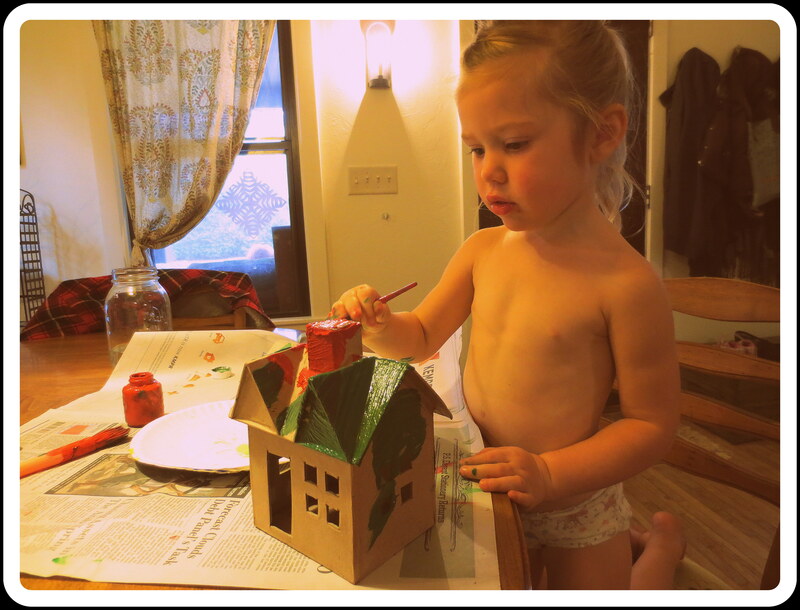 Painting, gluing, glittering – its all more enjoyable without worrying about laundry messes! Who doesn’t love art in undies? 6. ENJOY YOUR CHILDREN’S CREATIVITY. DON’T CONSTANTLY INSTRUCT THEM. OFFER HELP ONLY WHEN THEY ASK. RESPECT THEM WHEN THEY SAY THEY’RE DONE. THEY KNOW WHEN A PIECE IS FINISHED. 7. When they’re artwork is completed, use the wet rag and dry towel to wipe their hands. Then carry them or lead them to the bathroom and plop those kids in the tub! Its important to wash the kids before the craft area because the kids are capable of tracking paint/glitter/glue all over the rest of your house. The craft area isn’t going anywhere. It will still be there when you come back. After you’ve cleaned the people, go back and pick up your work surface. Have them help, if possible.